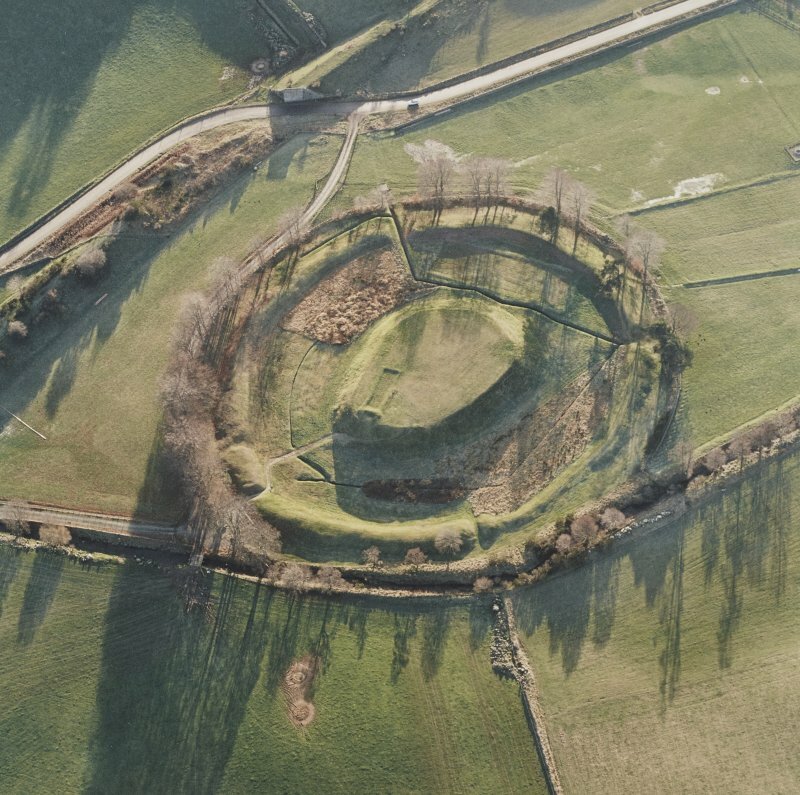 The Peel of Lumphanan, a shell keep, consists of a large earthen mound c.150 feet by 120 feet rising 30 feet above the level of the surrounding moat c.50 feet wide. 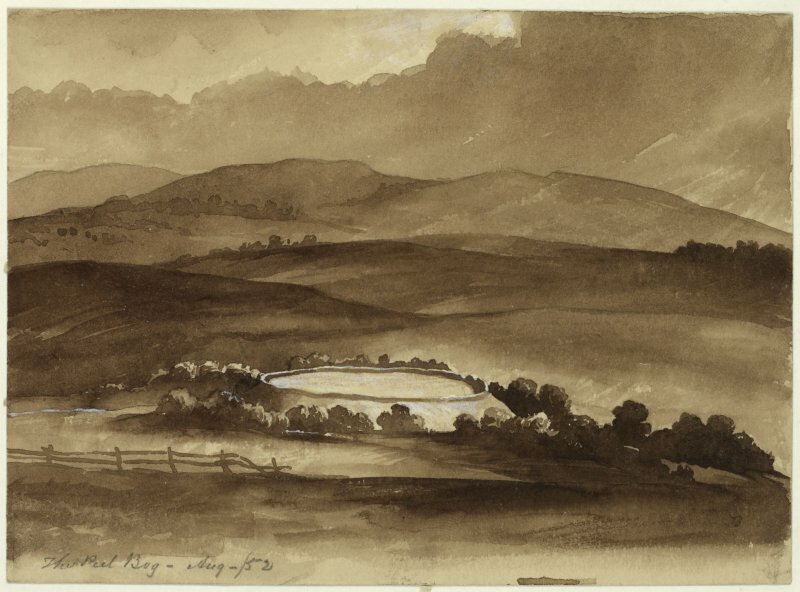 The ditch is bounded by an earthen bank 10 feet high, and 8 feet broad across the top, with another ditch, 10 feet wide but shallow, outside this. The lower courses of a curtain wall, 3 feet thick, girdle the summit of the mound, and abutting against it, are the foundations of a long hall building, c.50 feet by 12 feet internally, but whether contemporary with the wall cannot be ascertained. Beneath the turf on the summit are vestiges of masonry, but no coherent plan is formed. The surrounding bank is breached on the W side; this may have been the entrance. In all probability, the castle was the scene of the submission of Sir John De Malvill to Edward 1 in AD 1296. It is said that in the late 18th-early 19th centuries, walls and gables were visible on the mound. In 1829 the sluice of the water ditch was revealed, and the position of the drawbridge was discernible (Cruden 1960). NSA 1845; G M Fraser 1929; W D Simpson 1929; S Cruden 1960. 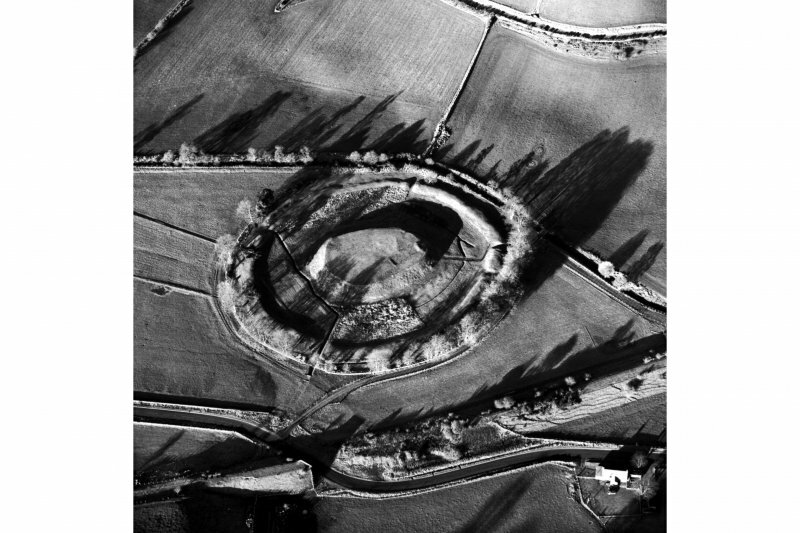 A 13th century motte built by the Durwards. Halton House, built in the 15th century, occupied the summit of the mound. The N gable was close to the path which wound from the drawbridge. A shell-keep, now under the guardianship of the MoW, as described by Cruden (1960), except that the outer ditch cannot be recognised with certainty. 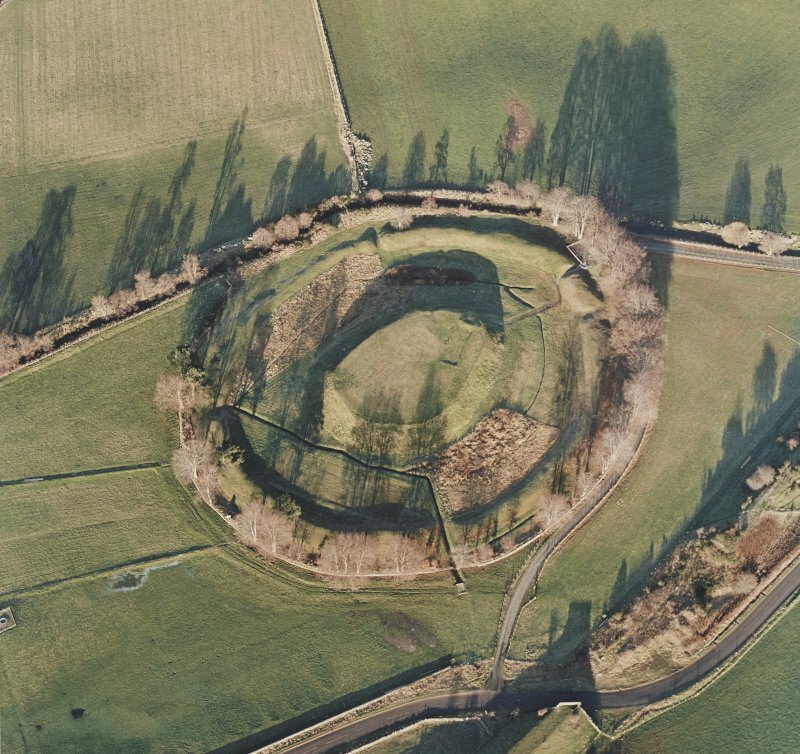 According to the MoW plaque, a motte almost certainly existed here at the time of Macbeth in AD 1057, the name 'peel' being derived from the palisade, which defended the castle prior to the building of the stone wall in the 12th-early 13th centurys. The castle is named by the MoW as 'Peel of Lumphanan' on their plaque, and 'Peel Ring of Lumphanan' on their direction board. The name officially adopted by the MoW is 'Peel Bog of Lumphanan'. Information in telephone call from P R Ritchie (MOPBW) to OS 23 January 1969. Peel of Lumphanan. 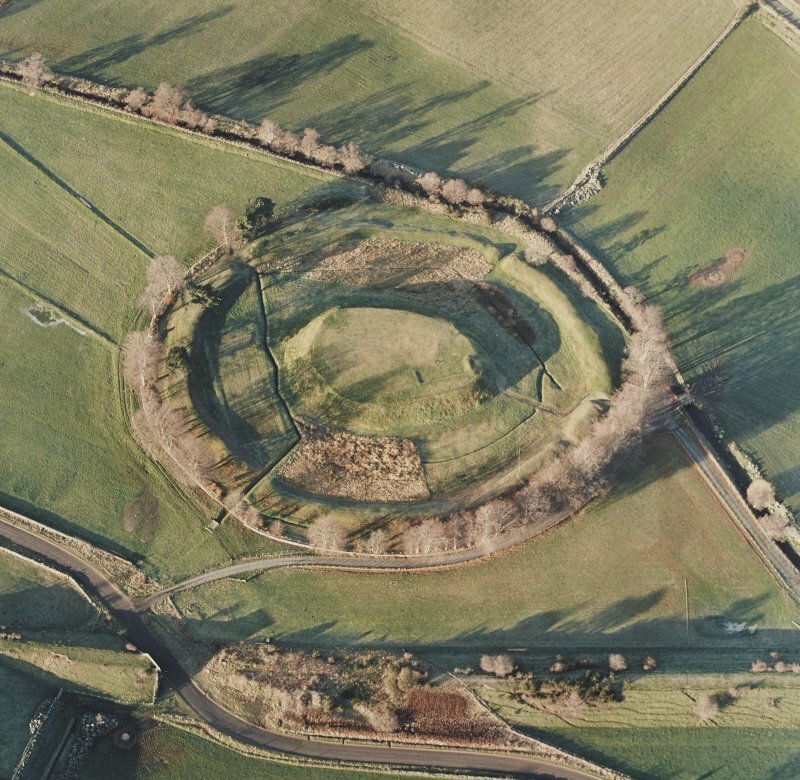 One of Grampian's earliest medieval earthworks, this flat-topped mound (36.6m by 45.7m) rises 9m above an enclosing ditch (15m wide) which is itself retained by an earthern bank. 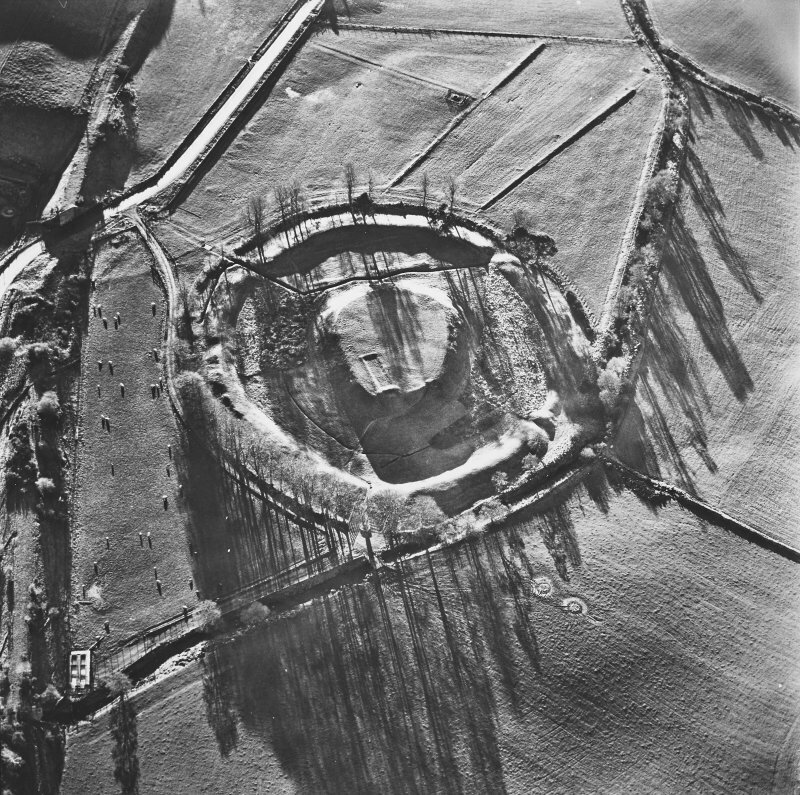 Formerly interpreted as a shell-keep (a motte with a curtain wall), excavations in the 1970s established that the wall around the summit was a late 18th century dyke built by the usual 'zealous agriculturalists'. The original 13th century defences may have been a turf rampart rather than a palisade. 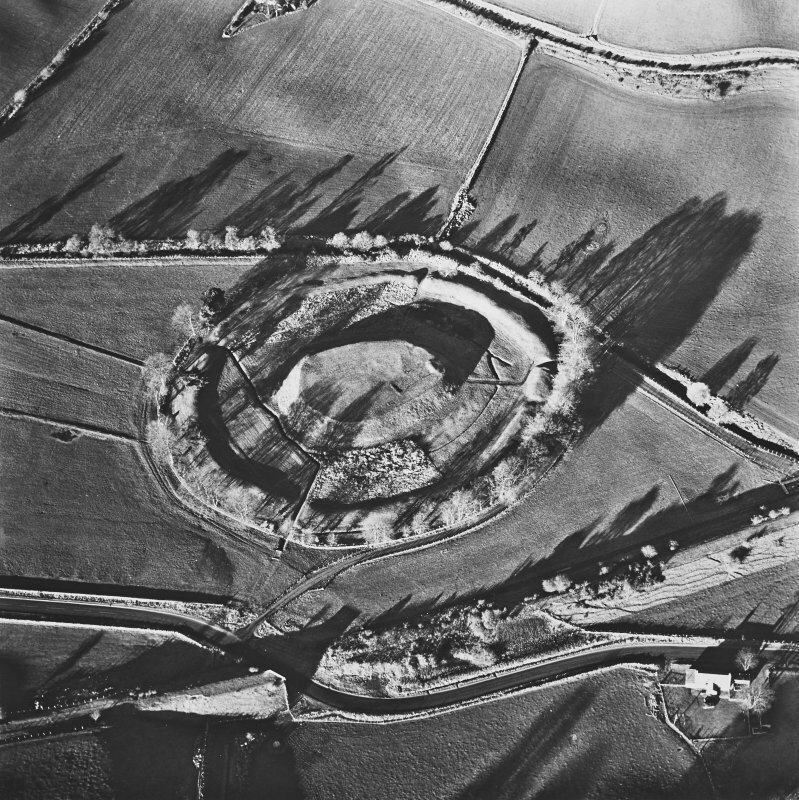 The motte was built by the Durwards. The footings of a rectangular manor house, Halton House, on the mound summit date from the late 15th century. The original cobbled causeway was traced across the ditch and winding up the NE side of the motte. The water in the wide ditch may have been controlled by a sluice system, now vanished. 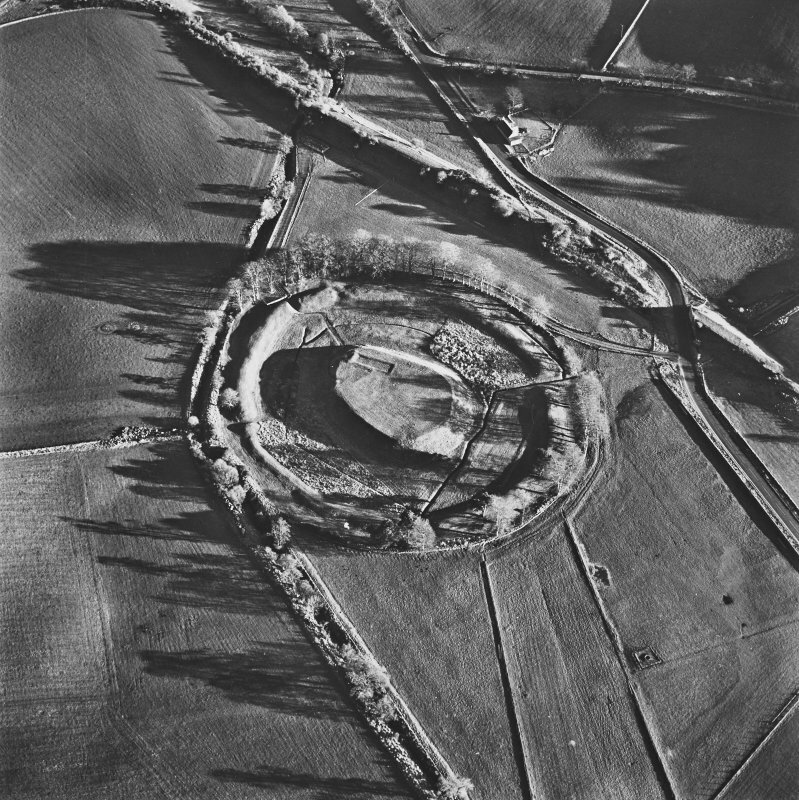 Visible on air photographs AAS/93/14/G28/15 and AAS/94/14/G29/1-4. Copies held by Grampian Regional Council. 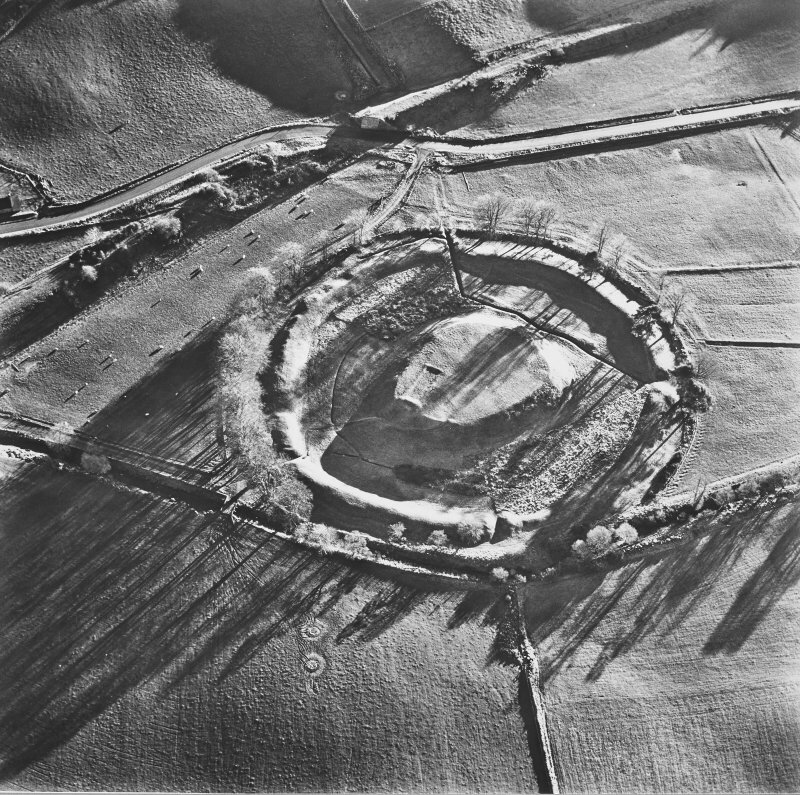 One of Grampian's earliest medieval earthworks, this flat-topped mound, 36.6m by 45.7m, rises 9m above an enclosing ditch, 15m wide, itself retained by an earthen bank. 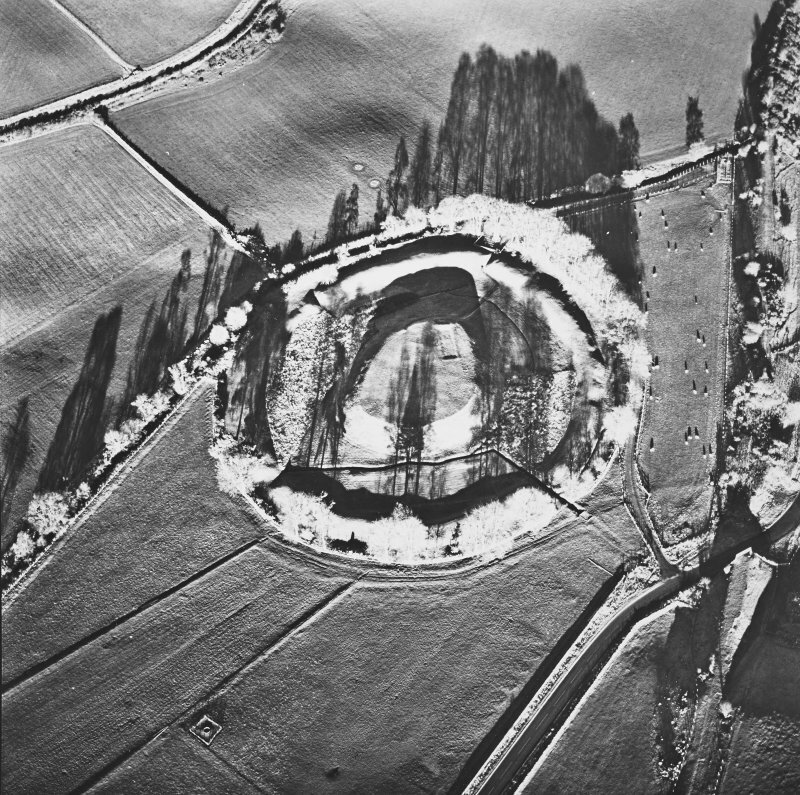 Formerly interpreted as a shell-keep, a motte with a curtain wall, excavations in the 1970s established that the wall around the summit was a late 18th century dyke built by the usual 'zealous agriculturalists'. The original 13th century defences may have been a turf rampart rather than a palisade. 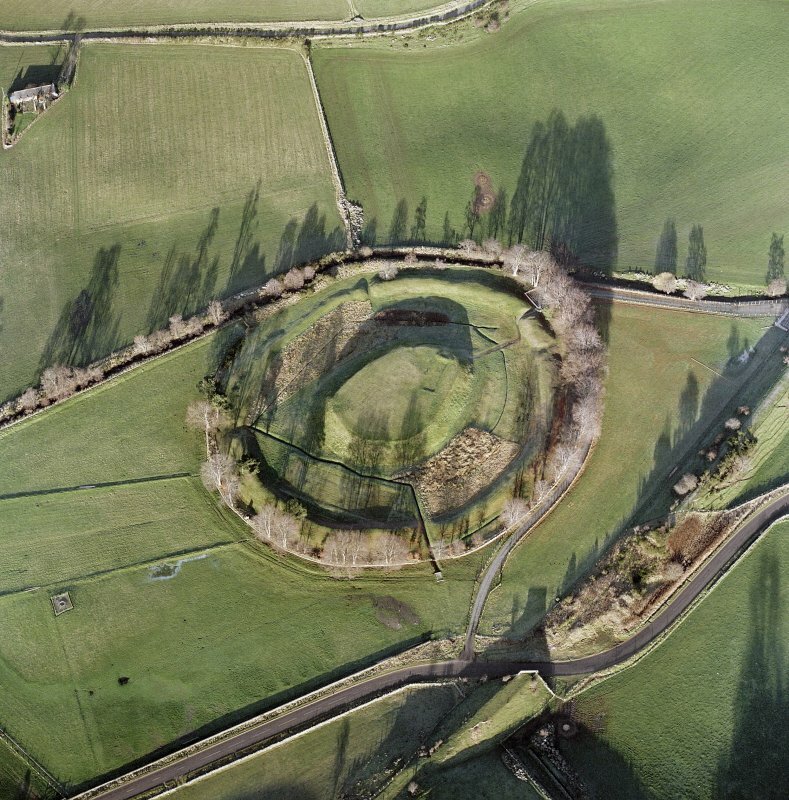 The motte was built by the Durwards. The footings of a rectangular manor house, Halton House, on the mound summit, date from the late 15th century. The original cobbled causeway was traced across the ditch and winding up the north-east side of the motte. The water in the wide ditch may have been controlled by a sluice system, now vanished. 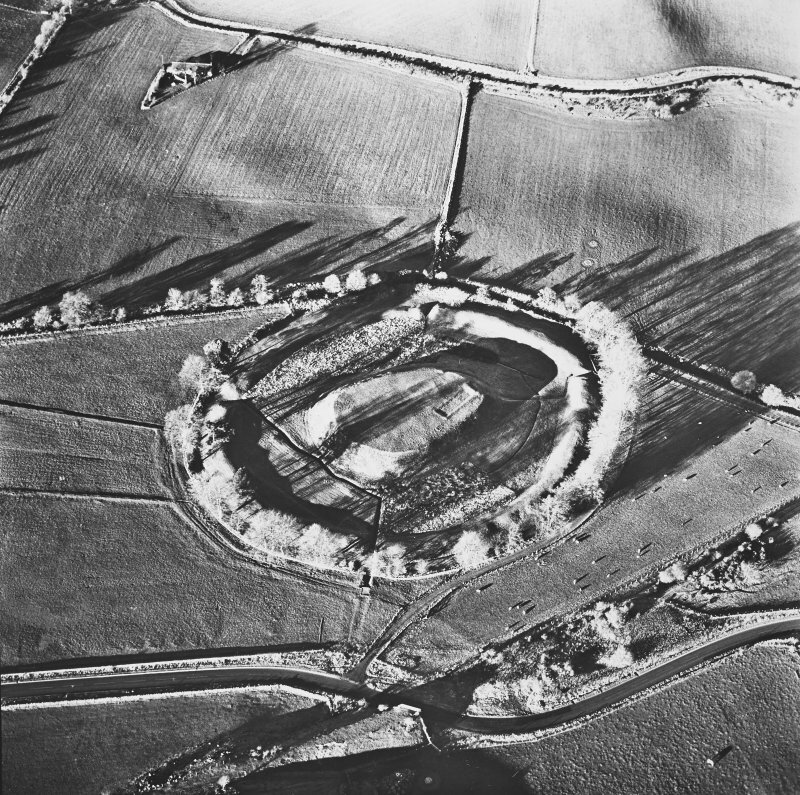 One of Grampian's earliest medieval earthworks, this flat-topped mound, 36.6m by 45.7m, rises 9m above an enclosing ditch, 15m wide, itself retained by an earthen bank. 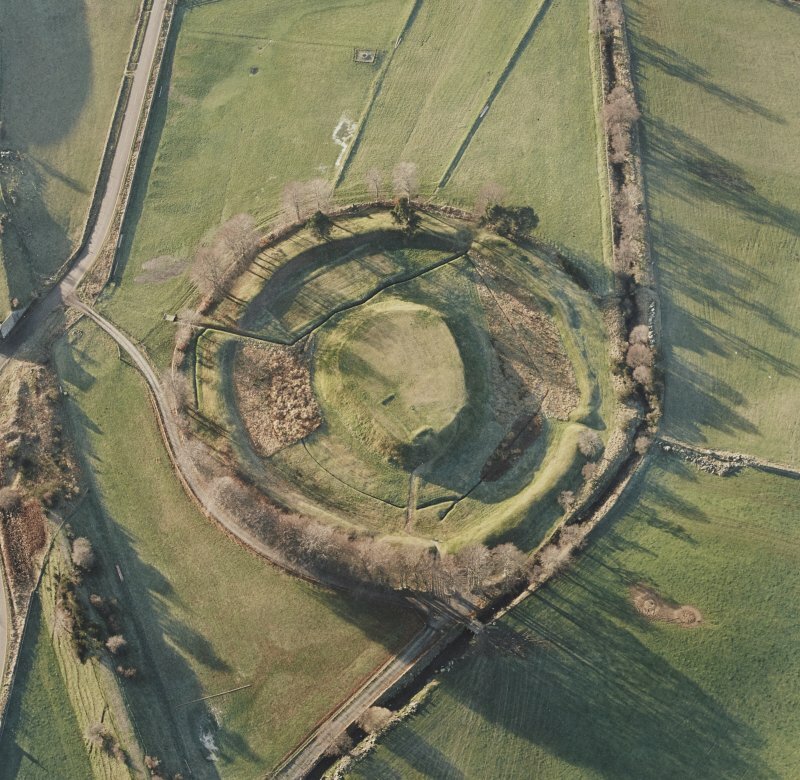 Formerly interpreted as a shellkeep, a motte with a curtain wall, excavations in the 1970s established that the wall around the summit was a late 18th-century dyke built by the usual 'zealous agriculturalists' . The original 13th century defences may have been a turf rampart rather than a palisade. 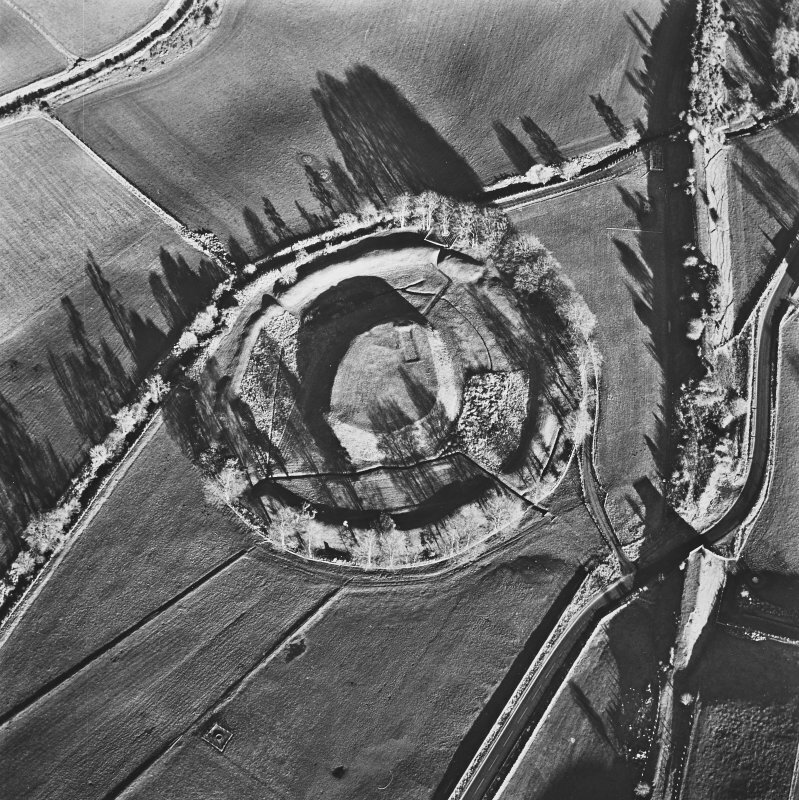 The motte was built by the Durwards. The footings of a rectangular manor house, Halton House, on the mound summit, date from the late 15th century. The original cobbled causeway was traced across the ditch and winding up the northeast side of the motte. The water in the wide ditch may have been con trolled by a sluice system, now vanished.